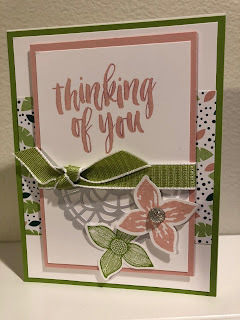 ribbon and pearlized doily - so fun! dry before adding it to your card! 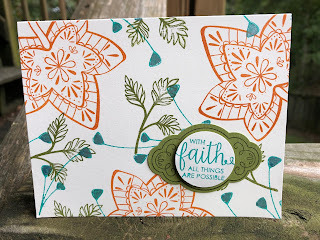 I love new catalog time! 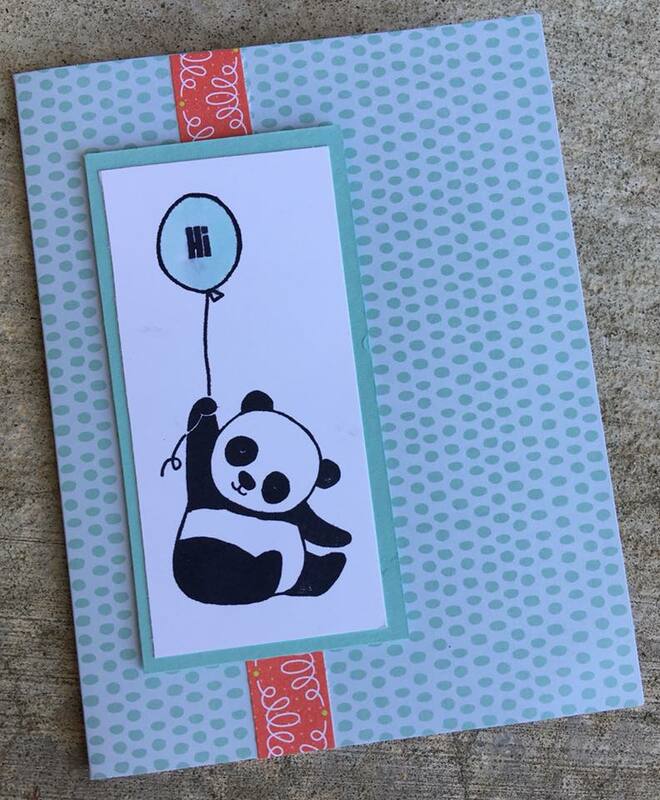 It's like Christmas for months! 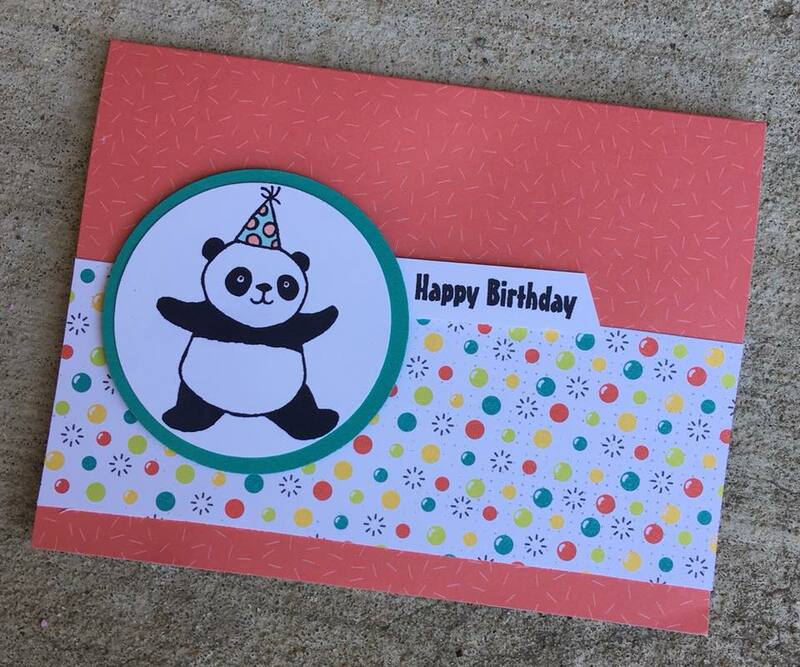 I've had fun playing with my new sets. I thought I'd highlight one of the hostess sets - Hand Delivered. 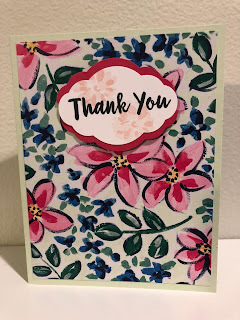 As a demonstrator I was able to purchase this one early. 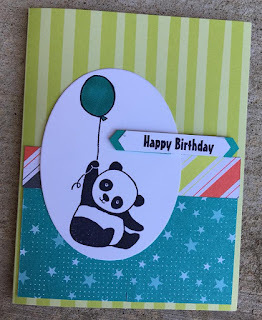 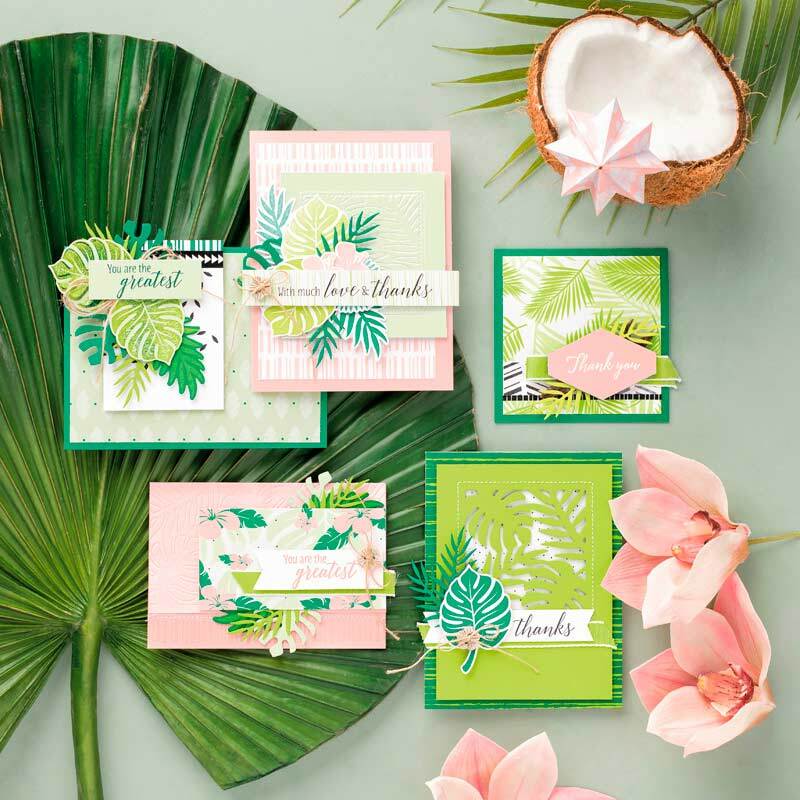 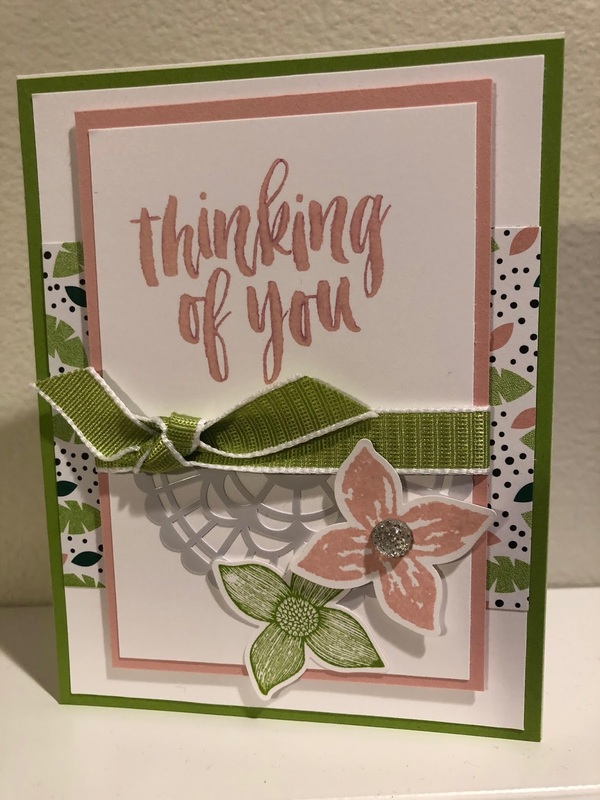 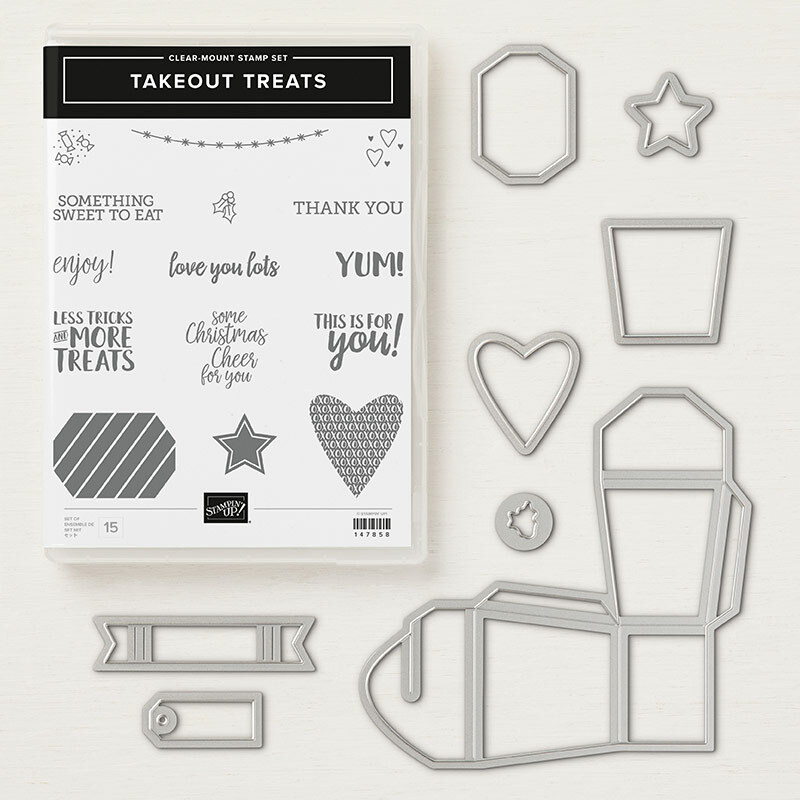 This is such a fun set - you can make birthday cards, graduation cards, wedding cards, get well cards - so many possibilities. Here are a few cards that I made or received in swaps. 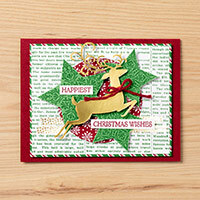 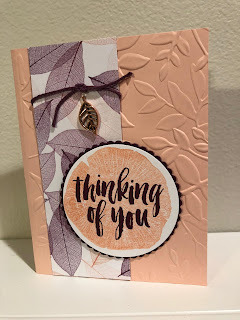 was embossed using the Scattered Sequin embossing folder. 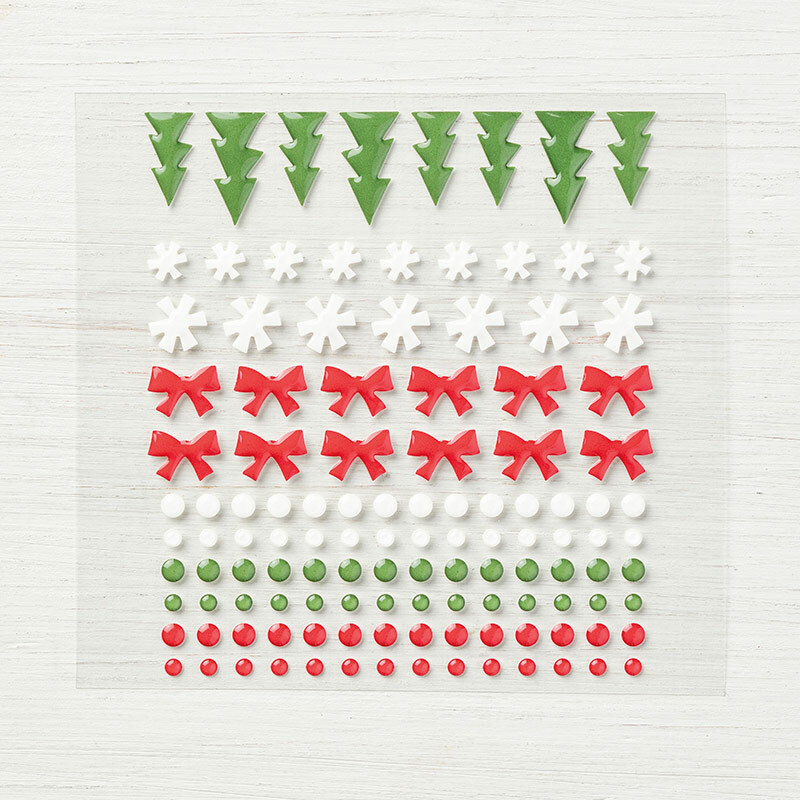 Grove with matching ribbon. 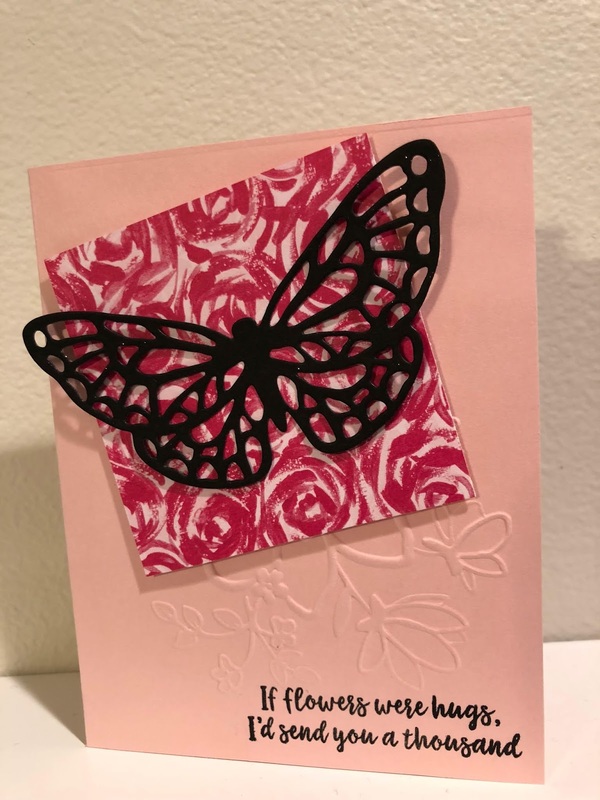 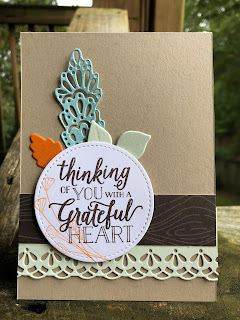 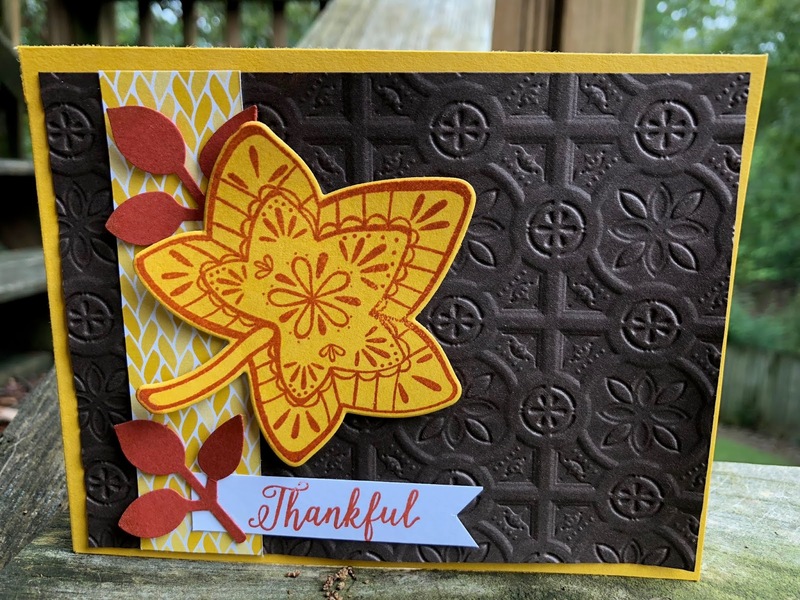 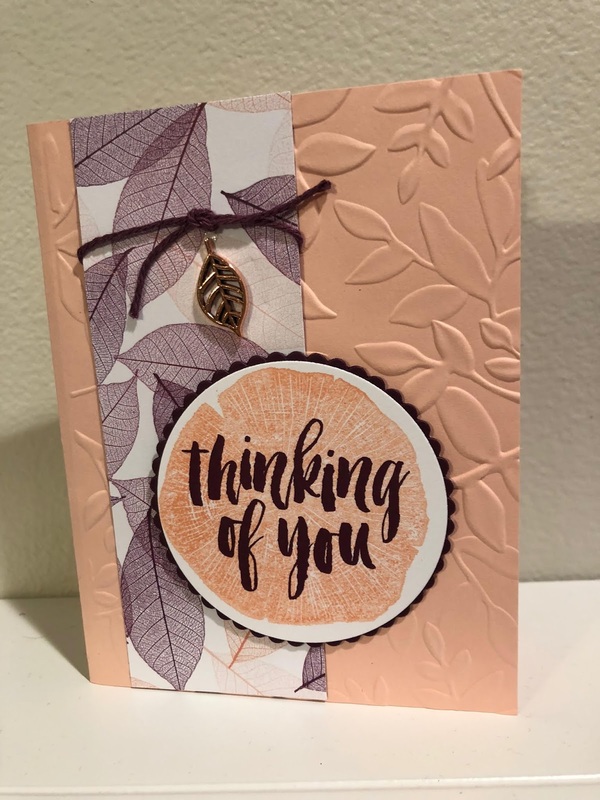 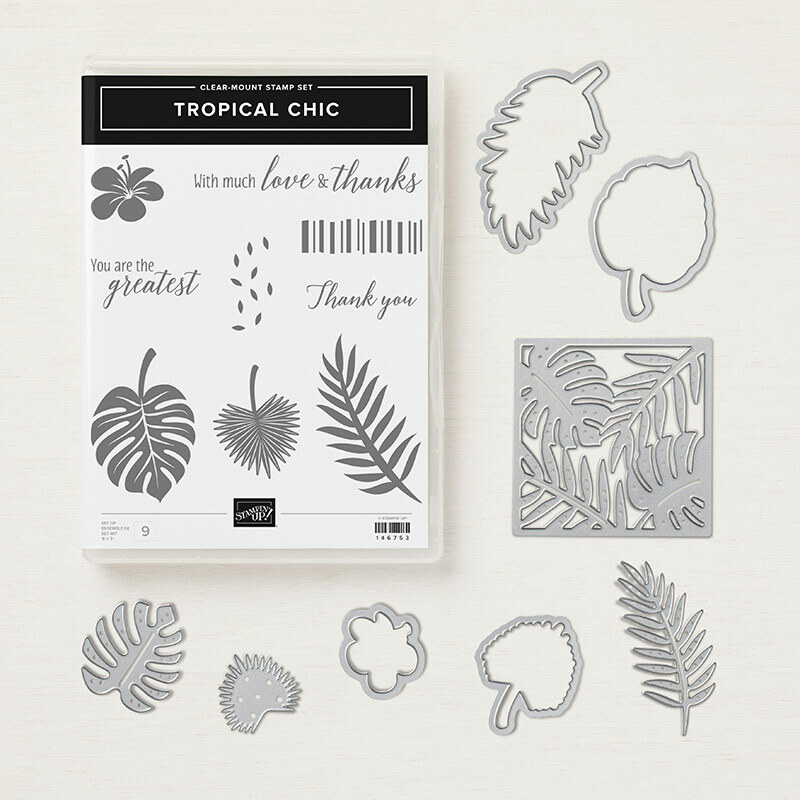 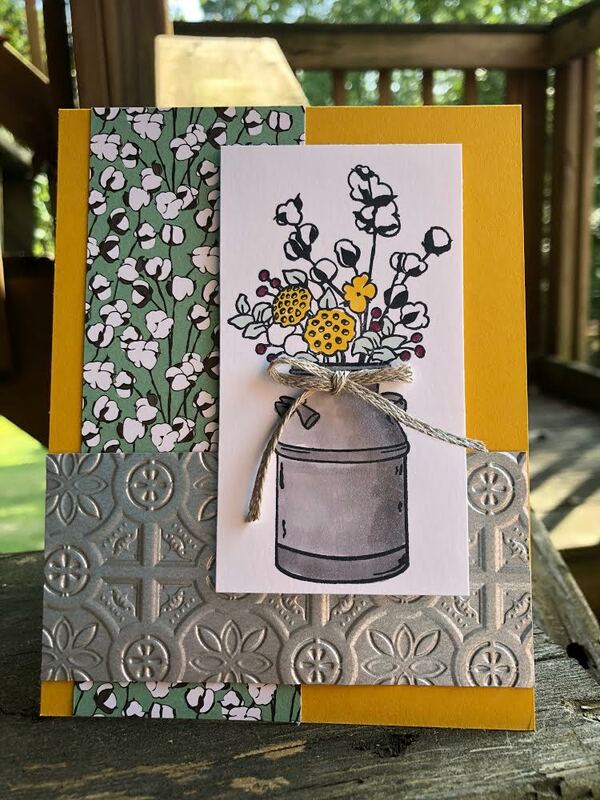 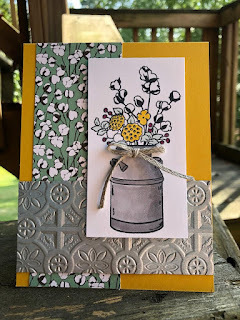 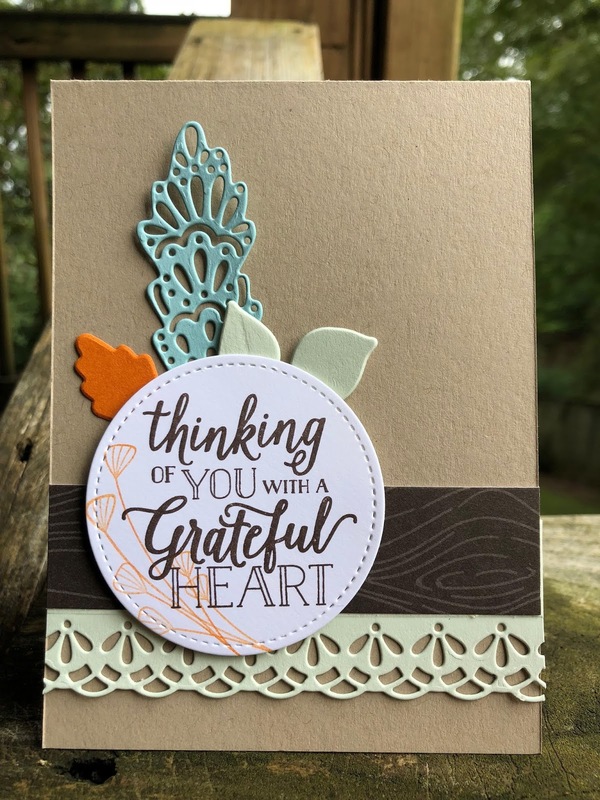 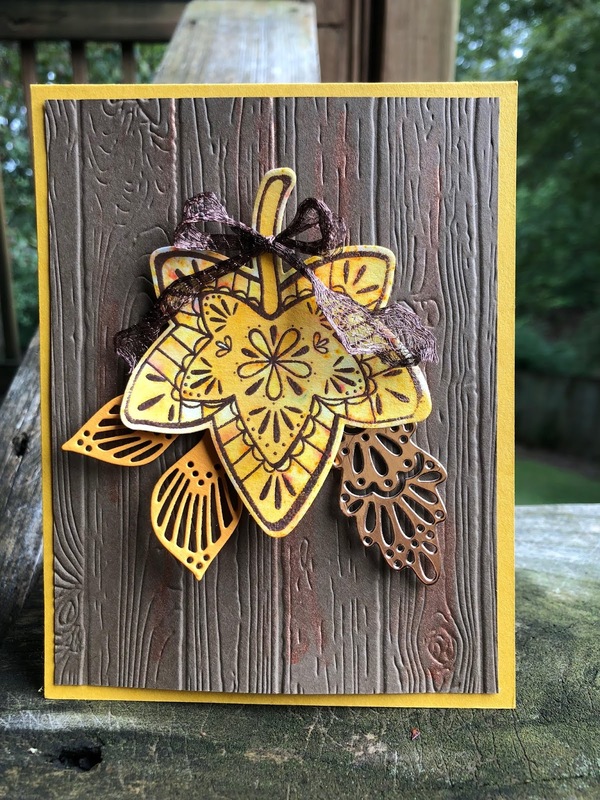 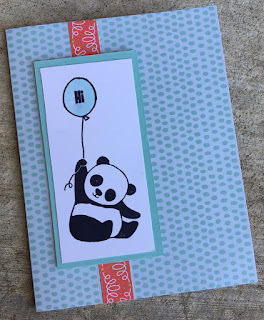 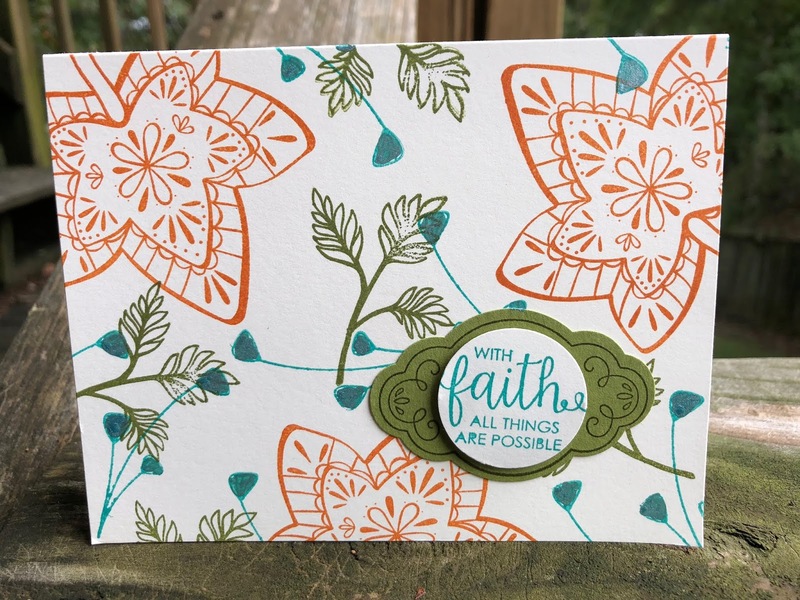 I love how Stampin' Up products all match! 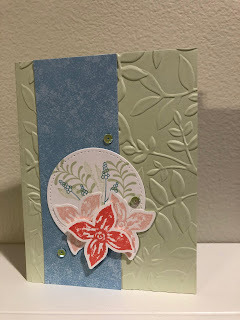 I used some Garden Impressions Designer Series Paper on the card on the right. 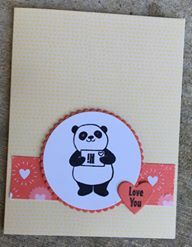 receiving a card like this!